MEMPHIS, Tenn. — Fred’s Inc. reported declined sales and net losses for its 2016 fourth quarter and fiscal year as it awaits regulatory approval to buy up to 1,200 drug stores in connection with the Walgreens-Rite Aid merger. Fred’s said Thursday that sales for the fourth quarter ended Jan. 28, 2017, fell 4.5% to $529.7 million from $554.6 million a year earlier. Same-store sales were down 3.6%, compared with a 1.7% gain in the prior-year period, and reflected a negative impact of 2.6% from the sale of low productive, discontinued inventory, according to the company. Sales in March also decreased. For the five weeks ended April 1, Fred’s tallied sales of $208.6 million, down 2.7% from $214.3 million a year ago. Same-store sales dipped 0.5% year over year, compared with a 1.8% uptick in the prior-year period. 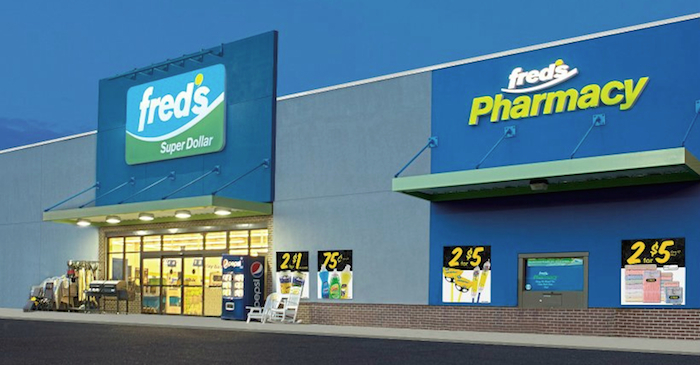 Fred’s said March 2017 same-store sales reflected the benefit of tax refunds delayed from February to March, offset by the later Easter in 2017 (April 16 versus March 27 last year), which pushed holiday sales into April. At the bottom line for the 2016 fourth quarter, Fred’s posted a net loss of $22.5 million, or 60 cents per share, compared with a net loss of $3.9 million, or 11 cents per share, a year earlier. Fred’s said the 2016 quarter reflected an after-tax impact of 49 cents per share from charges of $23.4 million. The charges include $9.3 million, or 25 cents per share after tax, for a valuation allowance against its deferred tax asset resulting from a pretax loss created the following pretax charges in the quarter: $10.2 million (17 cents per share after tax) for professional and legal fees from its proposed acquisition of 865 Rite Aid stores and the development and implementation of its growth strategy; $1.1 million (2 cents per share after tax) for inventory writedowns related to the closing of 40 underperforming stores; $1.5 million (3 cents per share after tax) for fees from an assessment received from Visa related to a data security incident in 2015; and $1.3 million (2 cents per share after tax) for other non-recurring items. Financial analysts, on average, projected a fourth-quarter net loss of 16 cents per share, with per-share estimates ranging from a net loss of 24 cents to a net loss of 7 cents, according to Thomson Reuters. “Over the last several months, we have started to recognize the positive impact of the initiatives we began implementing in 2016. 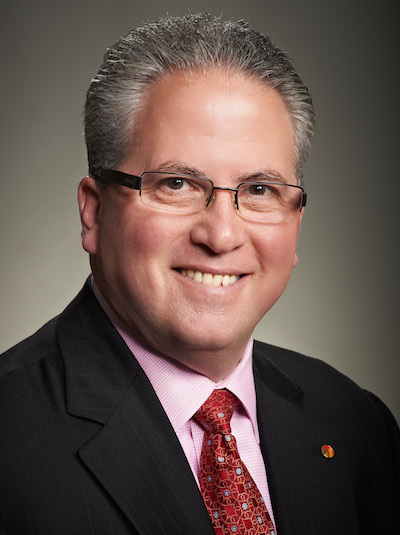 We are now seeing bottom-line improvement driven by sequential growth in retail pharmacy adjusted script comps, sequential progress in sales trends in our specialty pharmacy business, front-store margin expansion and strong holiday seasonal category sales,” Fred’s chief executive officer Michael Bloom said in a statement. He noted that Fred’s has laid the groundwork for the $950 million deal announced in December to purchase the Rite Aid stores, slated to be divested by Walgreens Boots Alliance (WBA) to gain Federal Trade Commission approval of its agreement to acquire Rite Aid Corp.
Fred’s reported it has committed to buying additional assets, including as many as 1,200 Rite Aid stores, for FTC clearance of the transaction, which also hinges on the FTC’s approval of the WBA-Rite Aid deal. For the full 2016 fiscal year 2016, Fred’s totaled sales of $2.13 billion, down 1.2% from $2.15 billion in 2015. Comparable-store sales decreased 2.2% year over year and reflected a negative impact of 1.7% from the sale of low productive, discontinued inventory. Fred’s net loss for fiscal 2016 was $66.5 million, or $1.80 per share, compared with a net loss of $7.4 million, or 20 cents per share, in 2015. The 2016 loss reflected charges of $61.8 million, or $1.28 per share after tax, including the valuation allowance against the company’s deferred tax asset (55 cents per share after tax), writedown of discontinued unproductive inventory (23 cents per share after tax), professional and legal fees from the Rite Aid store deal and the development and implementation of its growth strategy (22 cents per share after tax), fixed-asset impairments and inventory writedowns from the closing of 40 underperforming stores (15 cents per share after tax), fixed-asset impairments related to the corporate headquarters (5 cents per share after tax), fees from the Visa assessment related to the 2015 data breach (3 cents per share after tax), and other non-recurring items (5 cents per share after tax). Analysts’ consensus estimate was for a net loss of 54 cents for Fred’s 2016 fiscal year, with per-share projections running from a net loss of 60 cents to a net loss of 48 cents, according to Thomson Reuters. Overall, Fred’s operates 601 discount general merchandise stores, more than half of which have pharmacy departments, and three specialty pharmacy-only locations, including 14 franchised Fred’s Pharmacy stores. For Fred’s 2017 fiscal year, analysts forecast earnings of 41 cents per share, with estimates ranging from a low of 36 cents to a high of 45 cents. In other news, Fred’s has appointed Linda Longo-Kazanova to its board of directors. She most recently was chief human resources officer at Keurig Green Mountain Inc. With the move, Steven Fitzpatrick will retire from the board and not stand for re-election at the 2017 annual shareholders meeting. Fred’s said the announcement is part of its ongoing effort to add “world-class, highly qualified and experienced directors” to the board. To that end, the company has retained Spencer Stuart, an executive search firm.